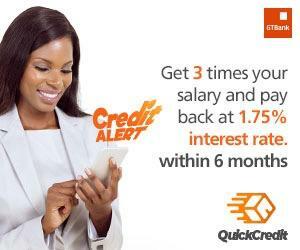 GTBank Masters Cup is fully sponsored by Guaranty Trust Bank Plc. After the Semi-Final games on Tuesday, Queens College Yaba, Ansar-Ud Deen Girls High School Itire, King’s College Lagos and Igbobi College have all advanced to the Finals of the 2018 Master’s Cup football competition. The Semifinals began with matches in the Female category; the first game saw 2017 Champions Queen’s College, Yaba defeat Ansar-Ud-Deen College, Isolo by a lone goal. The 2nd semifinal saw Atlantic Hall, Epe lose to Ansar-Ud-Deen Girls’ High School, Itire 3-1. All the matches were played at the Agege Stadium, Agege, Lagos. In Male category, the first Semifinal, King’s College, Lagos triumphed over Anwar-Ul-Islam Model College, Agege by a lone goal. The second semifinal match saw an age old rivalry rekindled as Igbobi College, Yaba clashed with 2017 Champions St Finbarr’s College, Akoka. On this occasion however, Igbobi College was victorious with a 2-0 win. The finals of the competition will take place on Thursday 28th June, 2018 at the Agege Stadium with the games in both female and male categories promising entertainment and memories to last a lifetime. Queens College has been the dominant force in the female category winning 5 times (2012, 2014, 2015, 2016 & 2017) while Ansar-Ud-Deen Girls High School, Itire emerged winners in 2013. Other past winners in the male category include Eko Boys High School, Mushin (2014); St. Gregory’s College, Ikoyi (2015); Greensprings Schools, Lekki (2016); and St Finbarr’s College, Akoka (2017).